Most of the discoveries in science were unexpected. This one is special as discovered by a woman. Stephanie Kwolek was working on a light weight fiber which could be stronger than steel. In 1965 Kevlar was discovered by kwolek, a fiber which is five times stronger than steel. Kevlar is a form of the plastic popularly known as aramids. The most common use of Kevlar is Bullet proof vests. Kevlar decomposes at 450 degree Celsius and can withstand embrittlement in low temperatures up to 190 degree Celsius. The most common identification of Kevlar threads is that it comes in yellow colour. Kevlar is chemically stable though it can degrade in high concentration acid and base solutions only after long period of times. All Our PTFE coated fiberglass flange shields are stitched from Kevlar threads. 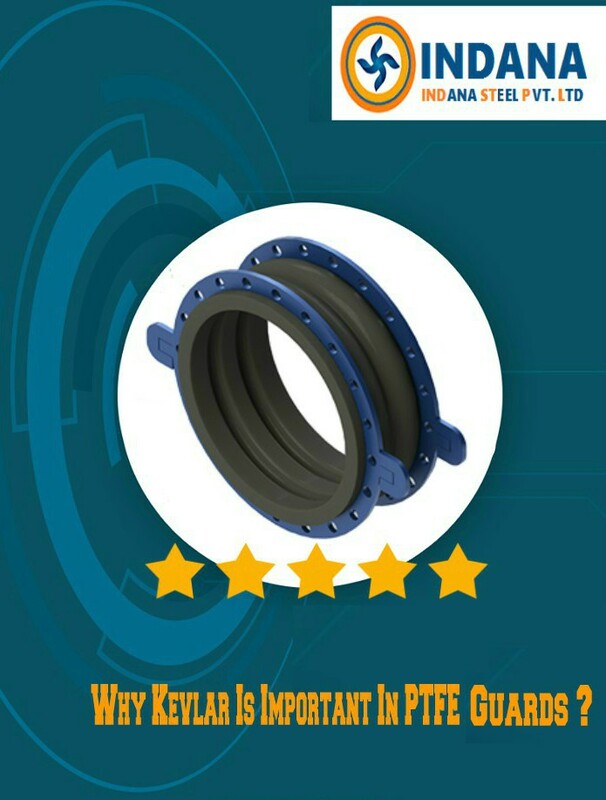 Thus giving the PTFE flange guards the desired level of protection. Most of the PTFE shields in the market are stitched from cotton or nylon threads which can create a safety hazard for the piping system as these PTFE shields will open up and in that state will not be effective. The reason being these threads are easily available in the market and come at a very low cost. The customer has very limited information and so they can easily sail through by supplying an inferior PTFE Guard which may lead to catastrophic damage to your equipment and manpower. Stitching is very important for proper fitment of a PTFE flange shield.